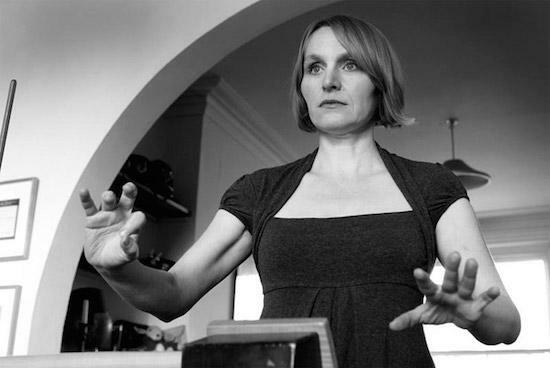 Experimental composer, instrument inventor and roboticist Sarah Angliss will launch her forthcoming album Ealing Feeder tonight at King's Place, London. Joining Angliss on the night will be her regular percussionist Stephen Hiscock, who also features on the album alongside various vocal contributors including her sister Jenny Angliss, David Bramwell of Oddfellows Casino and Colin Uttley. Ealing Feeder will be the first release from Angliss that aims to capture the dynamic of her live performances on record and sees her performing using Theremin, recorder, saw, spinet, robotic carillon as well as incorporated field recordings. Describing the album, Angliss said: "London, a modern edifice on a mediaeval footprint, is the blueprint for Ealing Feeder, a steely, unsettled love letter to the city". Attendants of the event, which is set to be a feast of beguiling, haunting sounds, will receive a copy of Ealing Feeder on arrival. Have a read out tQ's interview with Sarah Angliss here and find out more information on tonight's show here.